Seal coat is a bituminous liquid mixture that is applied to asphalt to protect it. If you have a parking lot, it was likely coated at one point, but it may need it again to enhance appearance and improve protection. 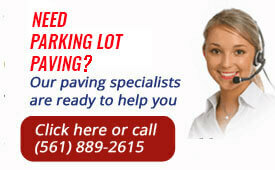 Need your parking lot, driveway, golf cart path sealed and protected? That’s what our company does for businesses from West Palm Beach to Boca Raton to Fort Lauderdale and further south. Call us for a quote on your seal coat project – (561) 889-2615. Seal Coating is an asphalt maintenance that should be performed yearly to protect your asphalt driveway or parking lot. By seal coating your parking lot you are ensuring a year of protection against traffic and natural elements such as sunshine and rain. Your nominal investment of seal coating will save you thousands of dollars in the long run. 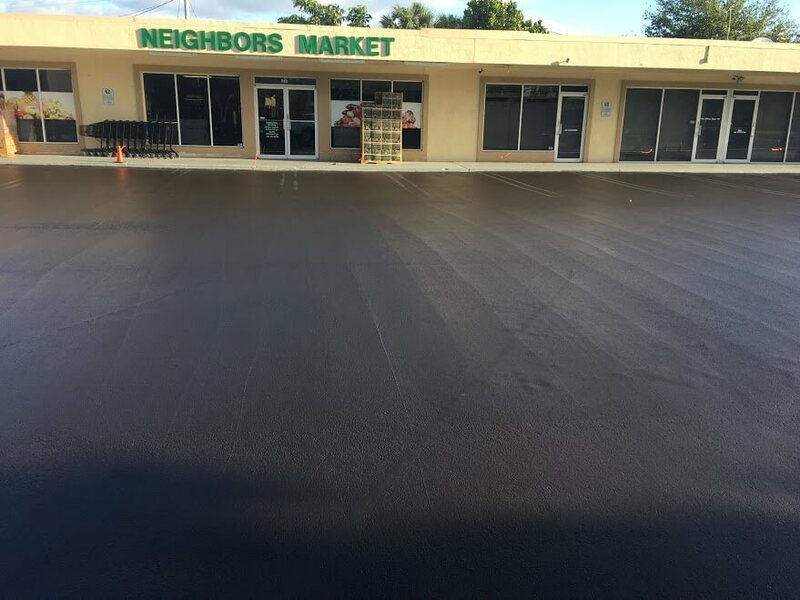 Our company, South Florida based Trinity Asphalt Paving, Inc., performs seal coating on asphalt pavement parking lots and driveways throughout the area. We also do patches and striping. Additionally, we do new concrete sidewalk installation as well as repairs. From Pompano Beach to Delray Beach, Boca Raton to West Palm Beach, if you want affordable, quality asphalt paving, seal coating patching and pothole repair for driveways, parking lots, sidewalks or walkways at your South Florida home or business, call Trinity Asphalt Paving, Inc. for a FREE quote at our main company office in Loxahatchee at (561) 889-2615.